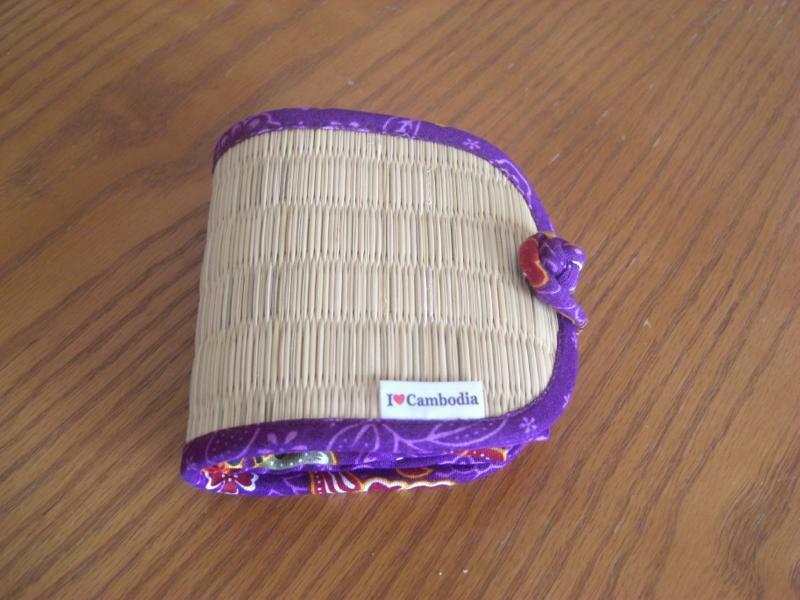 Today, I would like to introduce a rush-made item that my mom brought back from Cambodia. Look at this! It looks like a purse, but it isn’t. What do you think it is? A “Beary” Cute Blouse for Whom? My mom bought this in Cambodia. What do you think it is? 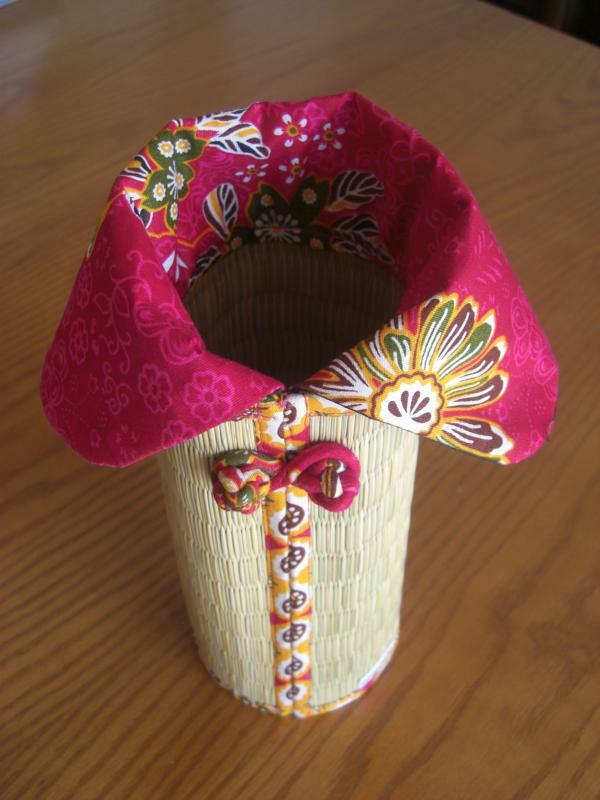 It is made of lovely pink cloth and mat rush. It looks like a blouse, but a blouse for whom? Bottoms up and Bottles up! After you have bottomed up your drink, don’t throw away the bottles. Whichever they are, glass bottles or plastic bottles, you can re-use them. One of the things that my mom believes can easily cross national borders is sport. 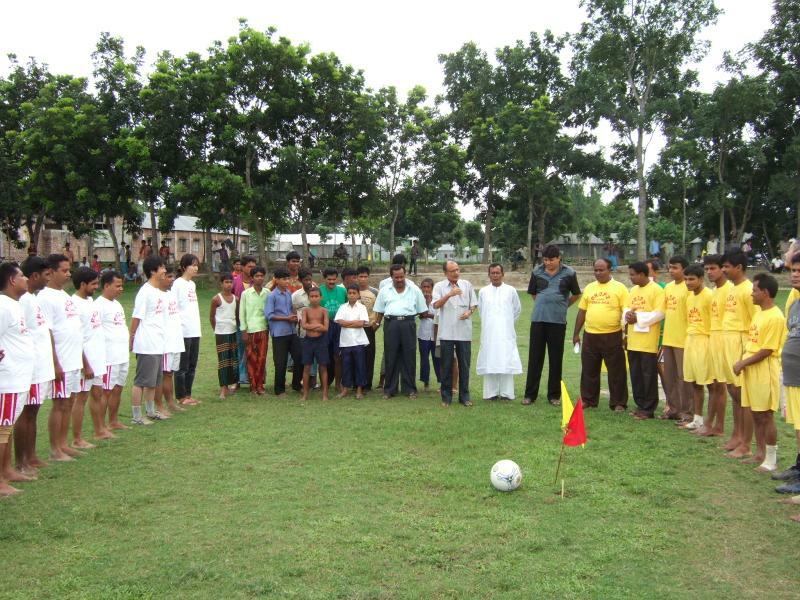 When my mom worked for a rural development project in Bangladesh in 2006, she enjoyed football with her Bangladeshi and Japanese colleagues. Let’s have a “Let’s BEAR” concert! 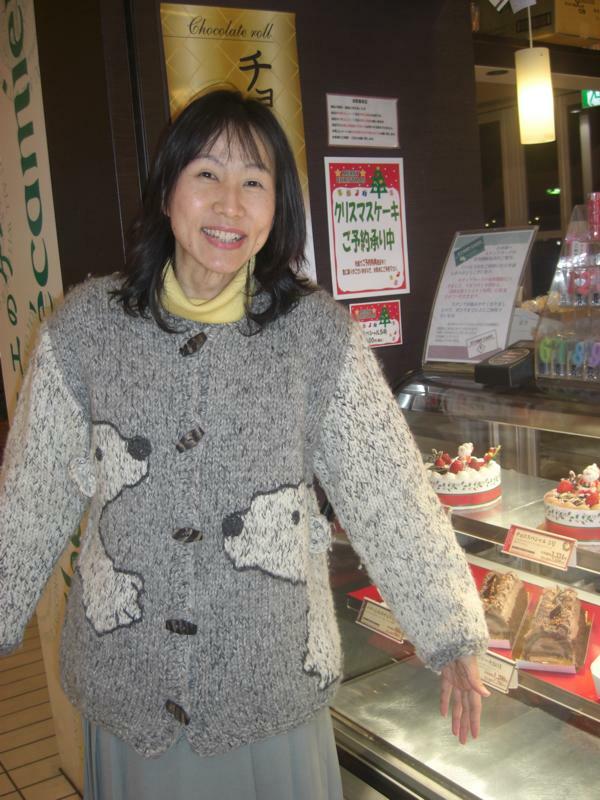 The other day, my mom went to the World Musical Instrument Museum in Tokyo with her piano teacher. 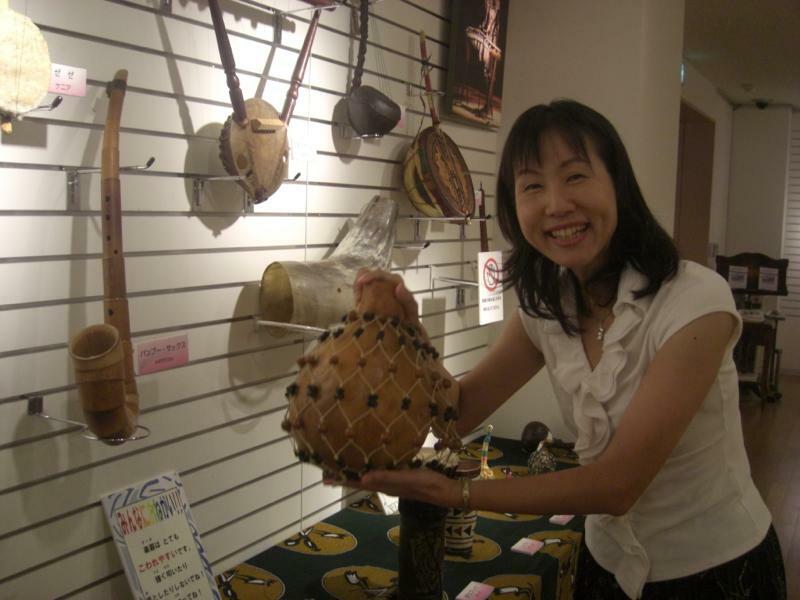 A variety of musical instruments from all over the world are exhibited there. EEN stands for “Ethical” Empowerment Network? When my mom found this item in the women’s bag section in a department store in Osaka, Japan, the pattern on the brown material immediately caught her eye. It depicts women’s life in Africa. What is this bag made of? It’s always hard to say, “Good bye,” but the time has come! My mom, Yasuko, has worked on a sustainable rural development project in Laos for eight months. She has just finished her assignment there. Look! 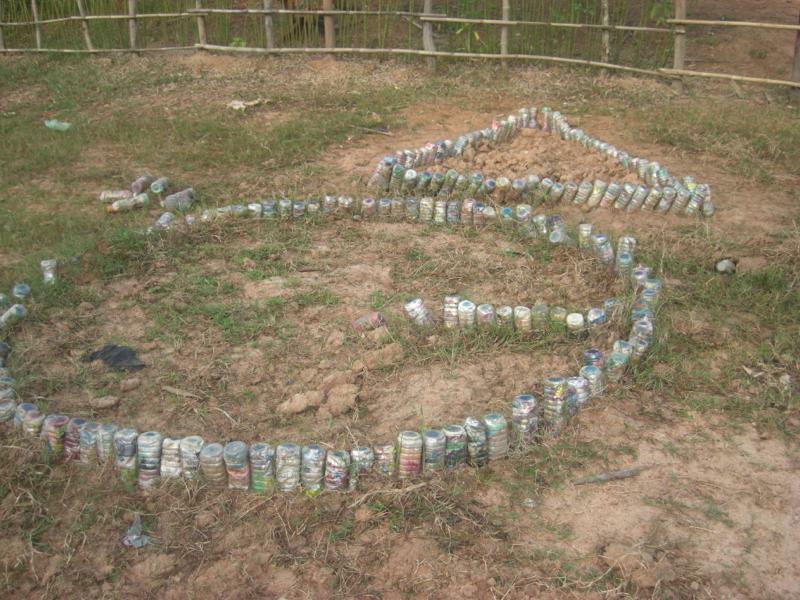 My mom, Yasuko, found this in a small village in Laos. 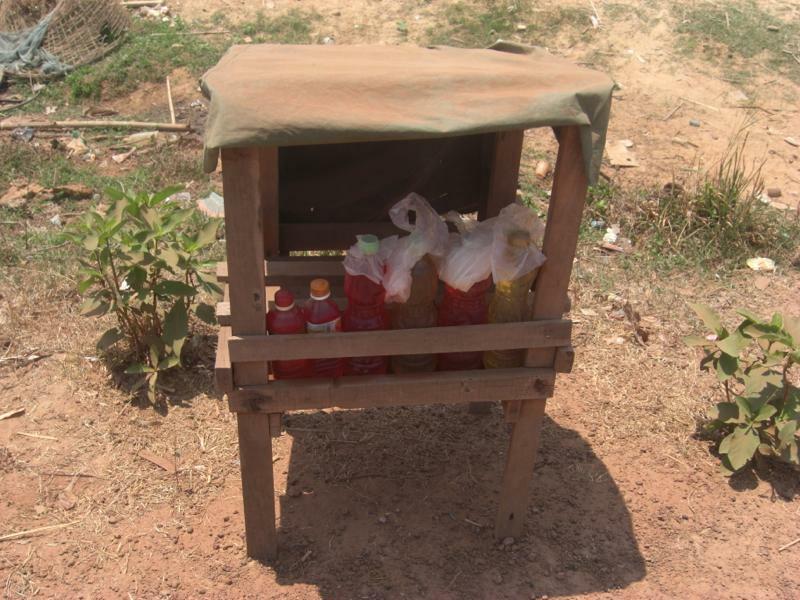 Several plastic bottles containing yellow and red liquid are kept in a little wooden hut. What are they for? There are a lot of “food cultures” in the world. Eating habits differ, depending on the country. 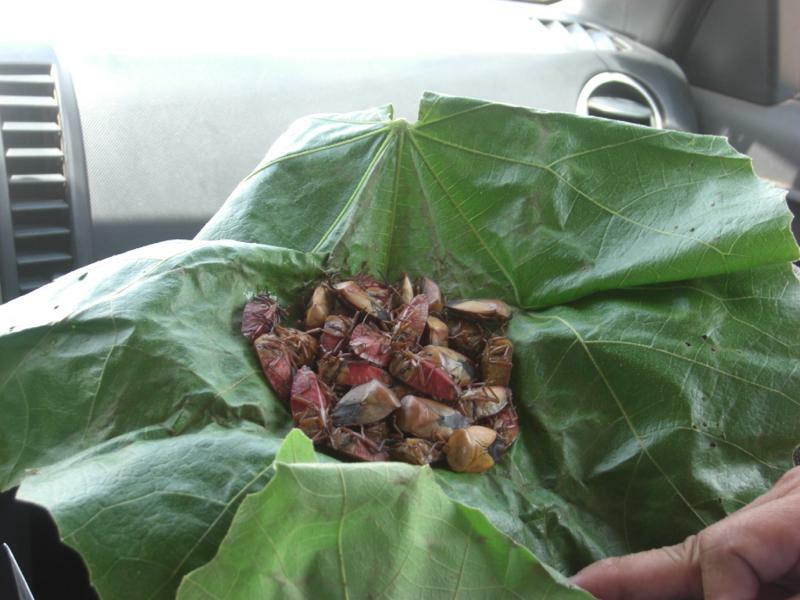 My mom has been working in Laos since last November, where they eat worms, insects, frogs, and small animals. Have you ever eaten any of them? Would you like to try some?